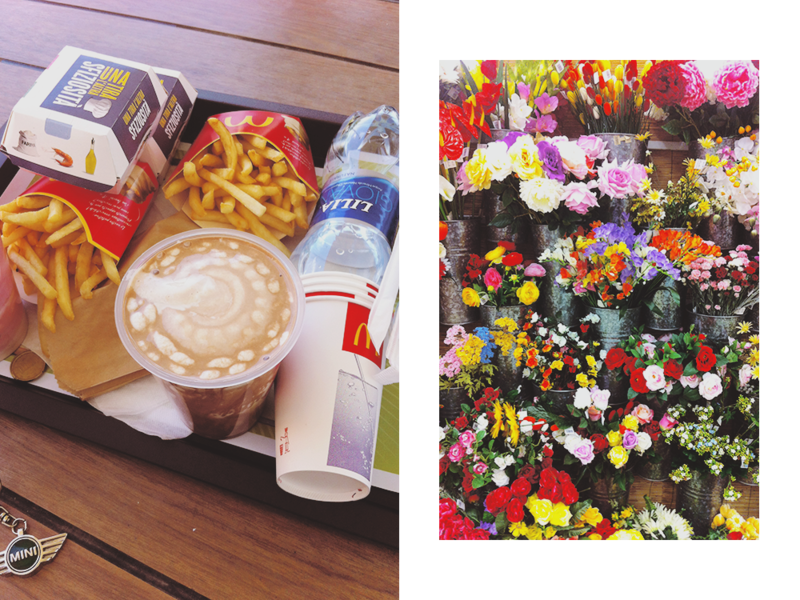 Me and my boyfriend are heading over to McDonald’s way too much lately – we used to eat only healthy vegetarian piadinas back in wintertime but lately we are just so attracted by those delicious and refreshing milkshake (and yes mine is the chocolate one and I know I shouldn’t eat dairy…). This is such an unhealthy habit and we have to stop. Also I just feel like photographing every flower wall I spot, as usual. 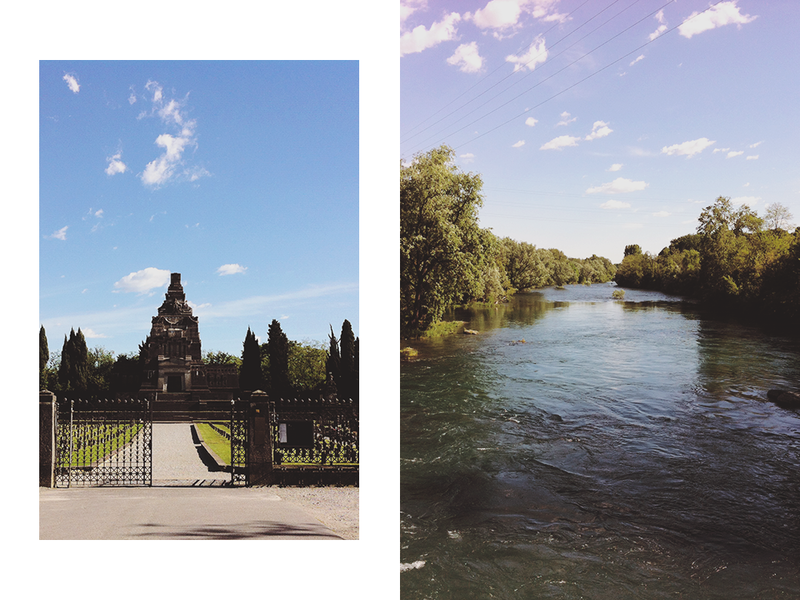 A few weeks ago we had a little trip to the river of which you may have already seen some pictures in this blog post or between my Instagram uploads, but I found some others and thought to share them with you. Even though we visited the most creepy and the strangest cemetery of all – all in all it was just the nicer afternoon I had in a while and it made the world of good to me and my mood. This was before I fell down the stair, had a bandaged foot for 10 days, experienced the most unlucky day when my blog was deleted and I had some other health issues, but you know, it was good. You know, when you’re bounded in bed for ten days and more you just have to find something to do and I had some fun time with one of my favourite hobbies, watercolor painting. 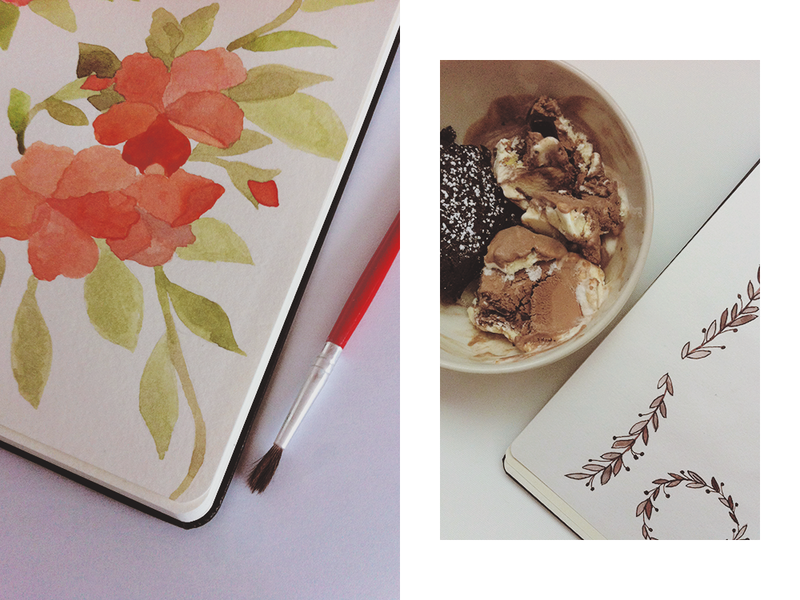 The first illustration was also used to design my June Calendar Wallpaper so if you like it, you’re still in time to download this month’s freebie, while the illustration on the right was of when I had my brown period last month and was also used in my new Olive Premade One of a Kind Customizable Blogger Design which is still available in my Etsy shop if you’re interested. 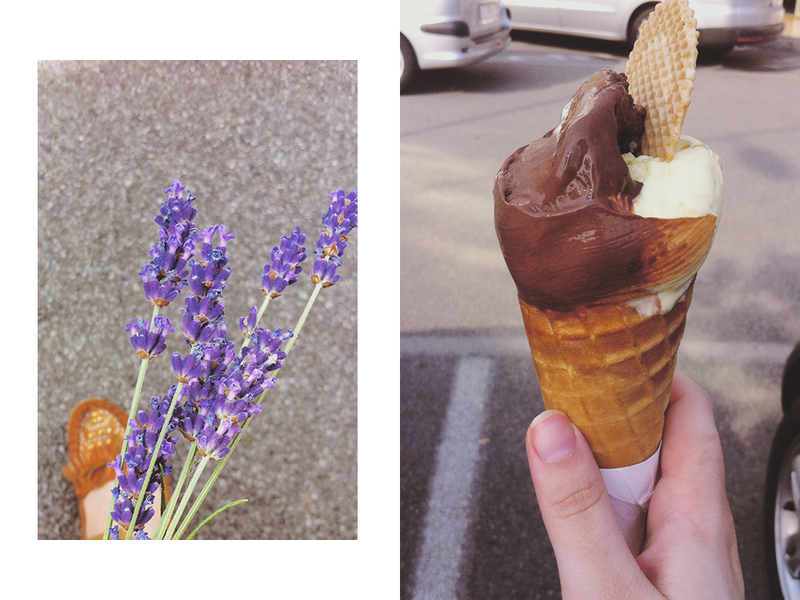 This week me and my boyfriend had a lovely afternoon drinking a refreshing lemon sorbet (him) and eating a delicious soy vanilla and chocolate ice cream (me) since we had around 35°C here in Italy and we didn’t expect summer to come suddenly and this early. I also spotted some lavender and couldn’t help myself from going there and getting some to bring home with me – I just love lavender, the color, the scent, so perfect. You know about my insane obsession for notebooks? No? Well, now you do. 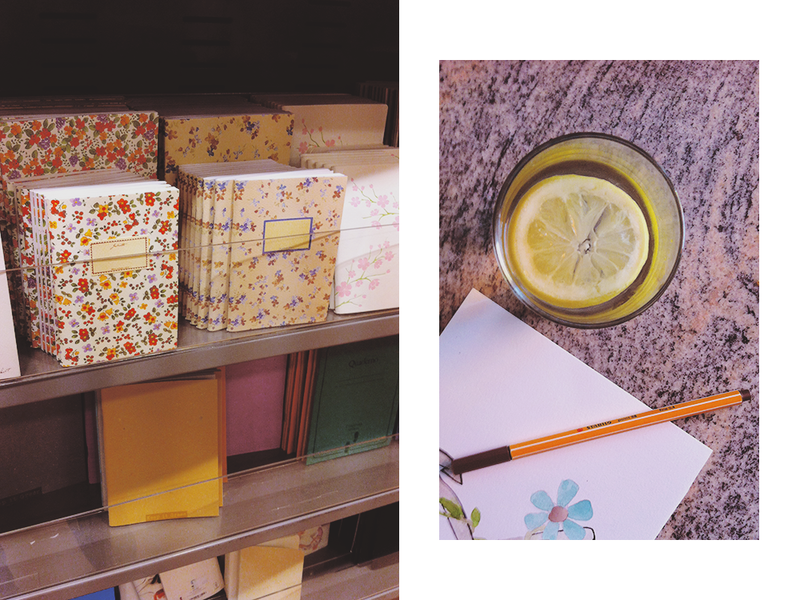 I just spotted this little corner of heaven in a shop lately and can we please talk for a minute about how cute and beautiful this floral recycled paper little notebooks were? And yet another day drawing something while fighting the heat with some lemon water. What were you up to lately? Looks like you have a fabulous time! Sometimes you just need some junk food. I have a thing for notebooks too, I can’t help myself!